H x W: 14.5 in. / 10 in. 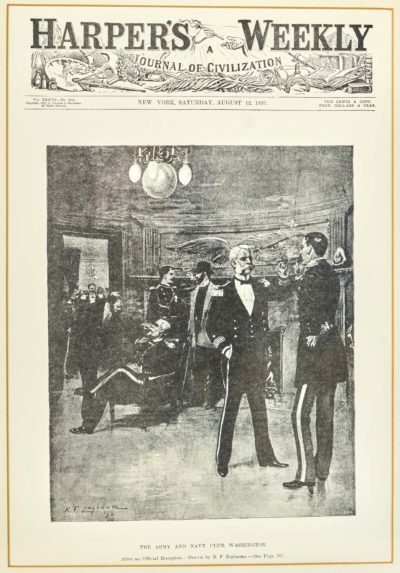 This illustration holds unique significance to The Army and Navy Club, as it may be the only surviving depiction of the original 1891 clubhouse interior. The carved eagle, now the centerpiece of The Eagle Grille, is shown presiding over a smoking lounge. This lovely scene is crowded with officers relaxing after a reception, offering a glimpse into the vibrant life of our Club’s past. And I do things with a pen.